Come have lunch and go shopping on Saturday, December 8th at Noon with your buddies! We will be meeting in the food court at the Eastview Mall. Bring money to cover the cost of your lunch and anything you may what to shop for! 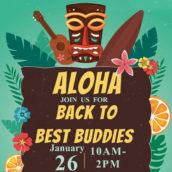 January 26, 2019 Al Sigl Center Rochester, NY Back to Best Buddies is a leadership training for all student leaders. It is an important day that brings leader’s together from all the local chapters, reminds members of the mission and reestablishes best buddies as a yearlong commitment and priority. 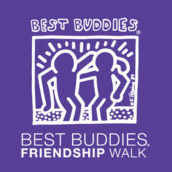 November 3, 2018 Riverside Park New York, NY Join us at the Best Buddies Friendship Walk, the number one walk in the country raising awareness and funds to support individuals with intellectual and developmental disabilities (IDD).